There's been a great bit of debate about which region and carrier variants of the Samsung Galaxy S III will ship with Samsung's Exynos 4 Quad processor and it appears that we can now cross Sprint off of the list of hopefuls. 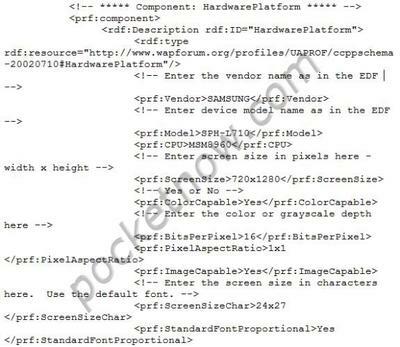 A purported outing of the Sprint-bound Galaxy S III's user agent profile has revealed a few details about the Now Network's version of Samsung's new flagship. At its core, Sprint's Galaxy S III will have similar entrails to Samsung's homegrown version of the GSIII, with the only major difference being a dual-core Qualcomm MSM8960 Snapdragon S4 at the helm. We wish we could say that we didn't see this coming, but as it stands, stateside carriers seem to be siding with Qualcomm's dual-core processor over the quad-core competition. Sprint's name has already been associated with the Galaxy S III and this pretty much cements that the device will be coming to the carrier, but most likely under some type of "Epic" moniker like previous versions of the device. On a final note, the profile also lists the device's internal storage at 16GB. This doesn't guarantee that we'll be seeing this as the only storage option, but this influences us to believe that Sprint could be targeting an affordable price point of around $199 to keep up with the competition.